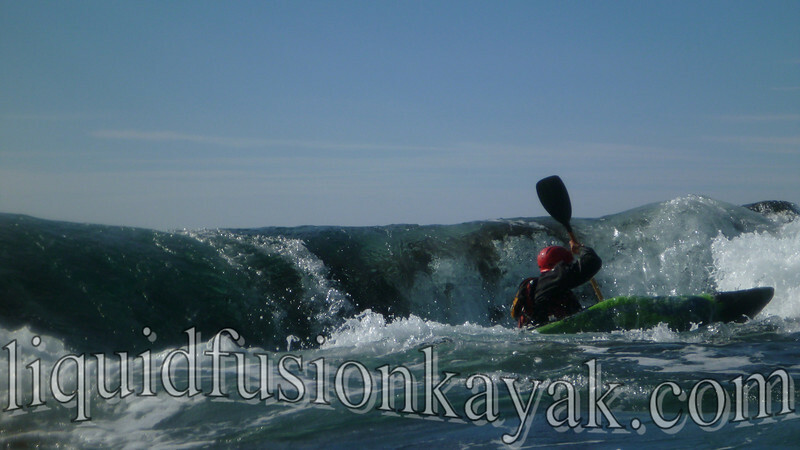 We admit that California's drought has us a little bit stir crazy for whitewater river kayaking. 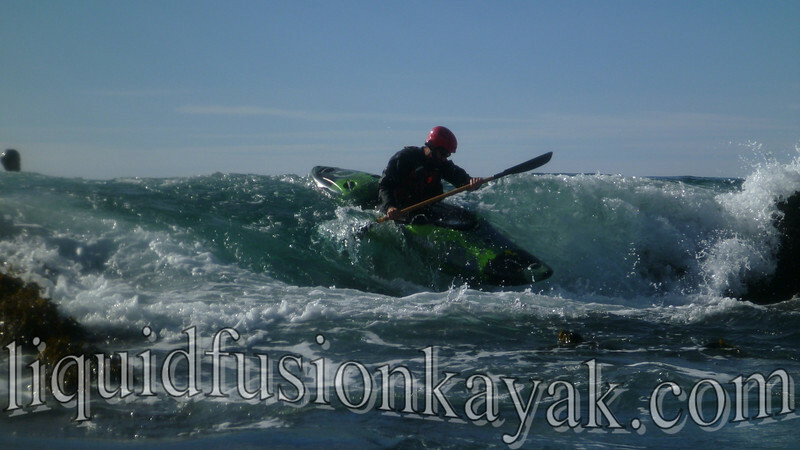 Our new Jackson Zen whitewater kayaks came in last month and have been gathering dust. Of course we couldn't allow this to happen so we took them out in our backyard for a little Whitewater of the Sea. 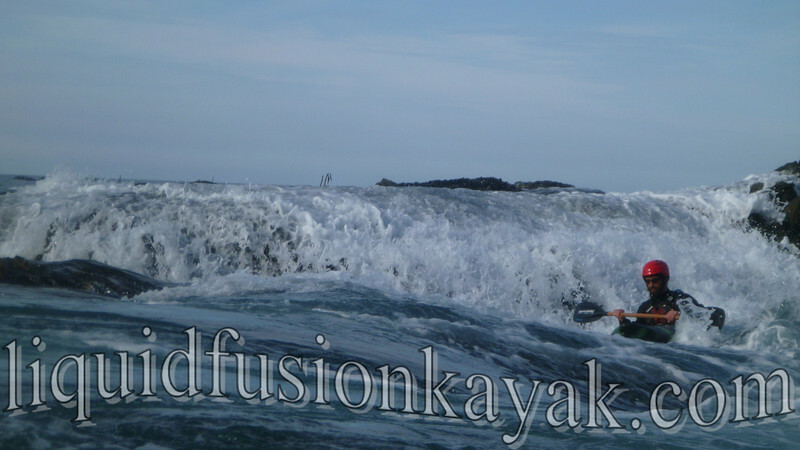 Fortunately, there is never a shortage of whitewater for kayaking in the ocean rock gardens on the Mendocino Coast. 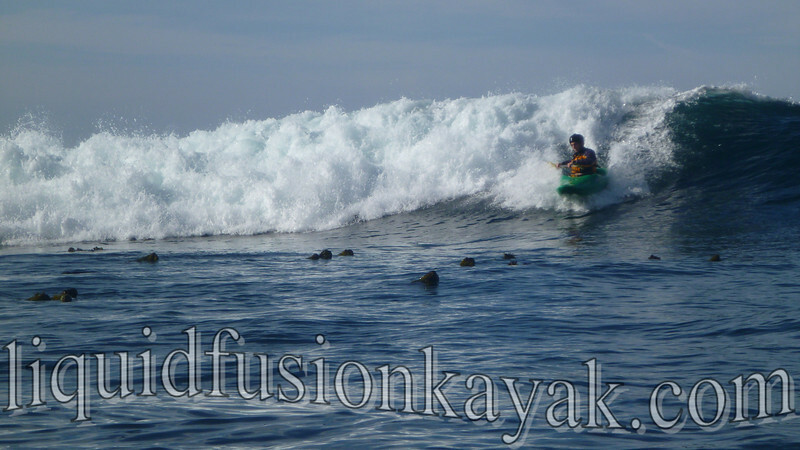 We were impressed with the Zen as a whitewater kayak for ocean rock gardening. It sports a fast planing hull for catching waves. 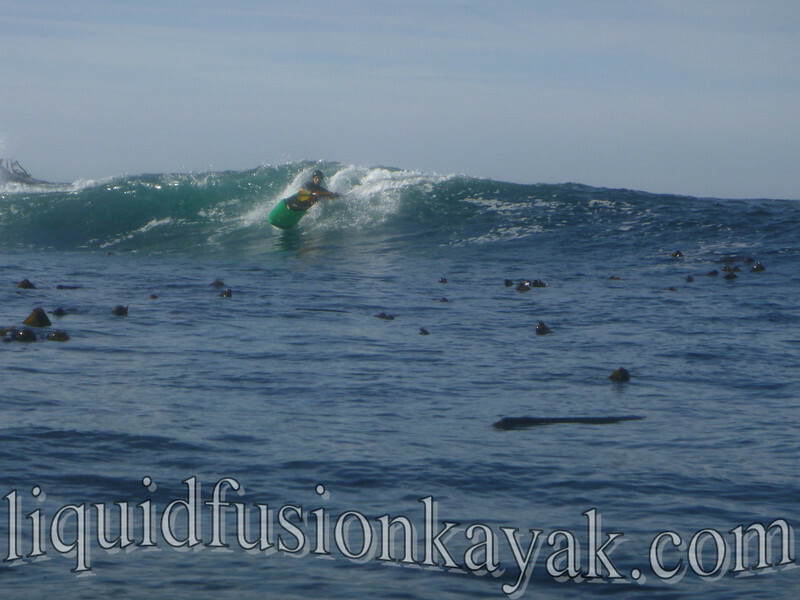 The volume is well distributed throughout the boat, and we really enjoyed its predictable resurfacing at the bottom of drops. The Zen didn't seem to have too much volume and seems to be a boat that responds to performance paddling. Without any outfitting modifications, the Zen's were comfortable and easy to adjust. We especially appreciated the lack of ratchets which always seem to corode and break at in opportune times. We also appreciate the size range. 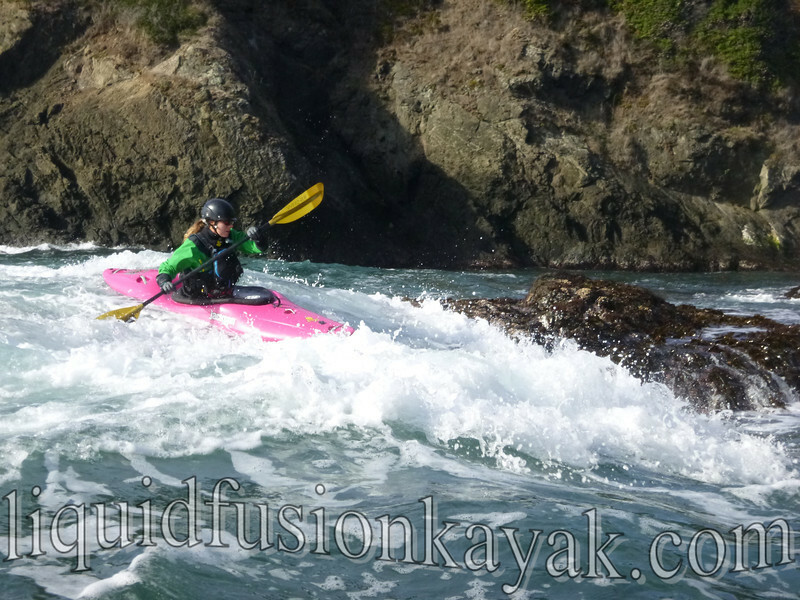 Jeff opted for the Zen 75 for its volume and speed as a boat for teaching and guiding. Elliot has been paddling his Zen 65 for a year now and has it dialed in for surfing ocean waves. Elliot dropping in on a wave in the Jackson Zen 65. 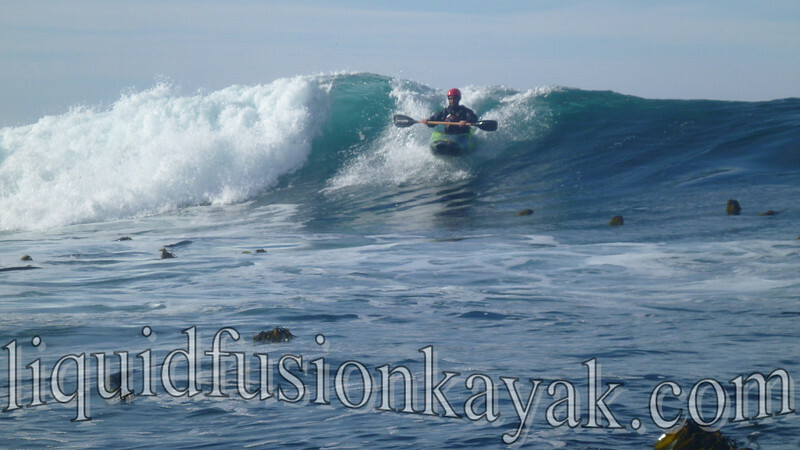 I was quite comfortable in the Zen 55 and look forward to paddling it more (after a few more paddles, I will write a full review on my Woman on Water Blog). 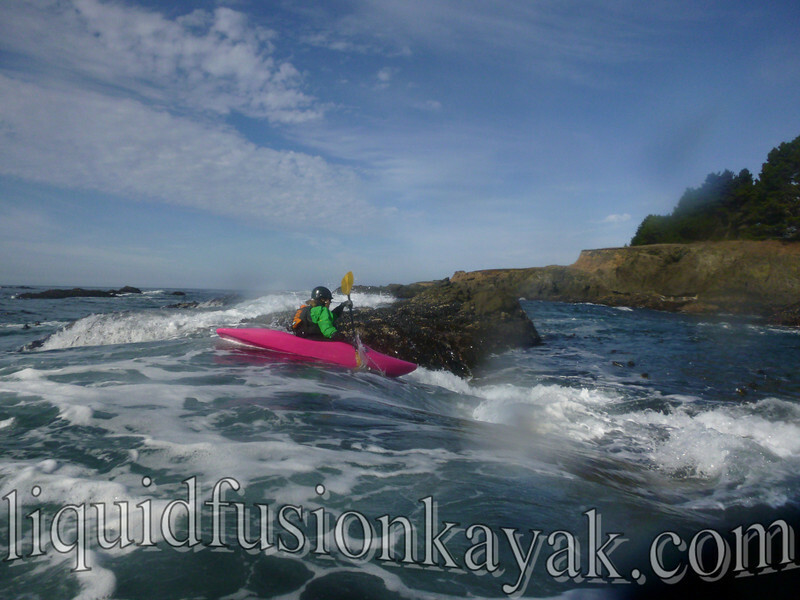 As long as this drought continues, we will be finding our whitewater kayaking adventures in the ocean and will share more of our thoughts on the Jackson Zen for ocean rock gardening. Here's a link to some of our photos from the day.